My friend Caroline, said that she struggled when she got her business online and when she started her home-based business. In trying not to spend too much, there are lots of temptations. So how do we avoid that? 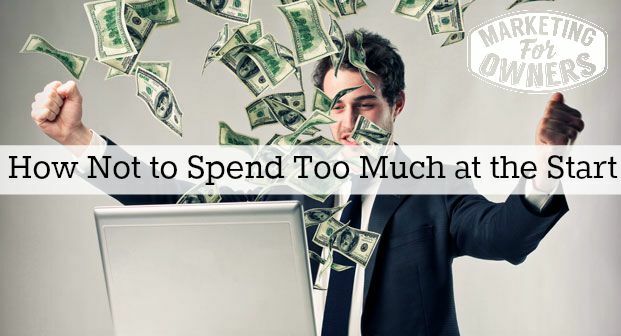 At the start of your business, the start of you changing up your business, or of you getting online or of you starting a project or something — how do you avoid spending too much money? The temptations are huge. Quite often we think by spending money on things, on new shiny objects that we can’t resist, then we’re going to get a shortcut to success. The bad news is there are no shortcuts it’s going to involve hard work. So this is the way I play it. Now I do recommend that you spend some money. There is the term of bootstrapping a business, but you’re going to need something. So if we’re talking about online, you do not need to pay a web company to put a website together — you can do it yourself. In fact, we explain how to do that in this post. You can put together absolutely fabulous website for a less than 100 dollars in the course we’re developing at the moment, which is the full perpetual sales cycle cost. We actually give step by step instructions of how we build one. And we actually build one and we show you how simple it is, seriously proper websites don’t need much. But you do need to buy a theme to have something to base it on, so we’ll come to that. Then you need hosting – you need to have good hosting, don’t just go to GoDaddy or someone. If it says free hosting, avoid it like the plague. I mean that’s the equivalent of sleeping rough. People rent houses, people buy houses or flats or apartments, and generally some unfortunate people are homeless and sleep rough. That is the same with your business –do you want your business to be homeless? No. Have a good quality hosting package or something will go wrong at some point. So just yesterday, I was on a Facebook group helping out someone who didn’t get this. They were complaining that they have not received their email for 5 days. Their hosting company who is great, she said, can’t fix it. She doesn’t like Gmail. What should she do? I advised her to change hosting companies if they can’t fix it and she said, “Okay, when my contract runs out in March”. That is not really a lot of money at all. It runs around $5 a month. Pay it monthly. Don’t pay up 3 years at front because you want to steady your cash flow, so don’t pay big chunks. Next you need a mentor, a trusted adviser because you need to listen to someone. Try and get that for free, you should be able to find that for free. Here is a post that we have about the ABC’s of mentoring that will be a great help. In fact tomorrow I’m going to do another podcast on getting trusted support. Next –you need a system. Now if you don’t know what you’re doing, if you’re starting out — this is where I advise you to spend the money. This is what should count. Personally I would prefer to pay monthly, and spread the cost. Let’s say that you were going to purchase a program that costs $1000 a month. However, they could split it up monthly and it only cost you $100 month and spread it over a year, it would be better to do it that way. Yes — you might be paying a little more for it, but spread the cost out to save you in your start up. You also need to get a bookkeeper or an accountant in place, but try and get someone, when you start that is inexpensive. You won’t have anything to give them so try and get someone you do not have pay upfront.Pay them maybe every 6 months, but you shouldn’t have to pay a lot of money. Now a lot of people will go get a lawyer. I personally don’t quite get it, we don’t need it in the UK, as a company we don’t have a lawyer. If we need one for lawyer type stuff, we’ll pay it as we need it. But the next is to remember this point, the things that you see online that you think you need, had you not seen them you would not know you needed them. This is the difficult thing, many people will just spend money online buying things because they will tell you that they are fantastic and they will help you. What I’m advising you to do is just pick one system, pick it from somebody that can prove that they’ve done it. And by proving that’s not showing a check with numbers on it, anything can be art-worked. Find out what business they’re in, what business they were in, look it up is it any good. If you want to know about me without not selling anything, mine in UK is fireprotectiononline.co.uk. So look that up, we also have easyfiresafety.co.uk, look them up. I’m not actually selling you anything, however similar system because I’m giving you advice. But this is what I would do. Now back in 2007, I joined an organization called GoodStamp. When I started my business, it cost me around $800 dollars per month, which is 10000 dollars a year, and you may think ‘wow’. However in that first year fire protection online generated 1 million dollars and I am not fibbing! I was well known at that time. That’s pretty good and I was taunted around and could prove it, the figures were there. But by joining that system a lot of people would say “Wow that’s 800 dollars”. Look what it did, before I joined that I had no idea, I knew I had to market, I had no idea how to succeed online. Years later, I’ve done rather well. You may notice I travel a bit, my business is run, and I don’t tend to be there, And now that’s why I enjoy showing others how easy it can be if you know what you’re doing, if you listen to someone. So pick one and stick with it. Pick it well, select carefully do not believe any hype, if they go on about money that’s hype. Just don’t believe it. If necessary email them, contact them, ask to speak to them, ask perhaps to speak by Skype, email them how fast do they reply? Does it come from the actual person who’s doing the teaching or is it from some support team, who have a script? Choose carefully but choose a system from someone who’s been there, done it and follow them. Ignore everything else do not ask your mates unless they’ve done this and are very, very wealthy and can prove it to you that they are not racked with credit card debts. How many people do you want to respect that manage to get themselves $100,000 dollars into credit card debt? Because what they are going to do, and then they say “And I’ll show you how I did it”. “Yes!” No, ignore okay, ignore. Some of them are genuine, but it’s just too easy. That’s just the standard formula, it’s a formula it’s all made up. Rubbish. Pick carefully, really, really carefully, it is your money it will not be coming back end of. Today I want to share with you a quick tip. It is what I use for booking appointment and things. It’s free, and there are paid levels. It’s called Calendly, so it’s like a calendar. If you’re making appointments with people at work, you just send them an email with a link to your Calendly and put in the slots that are available but they fill one in, pick one, email it back it updates your calendar, books that one out and so on. 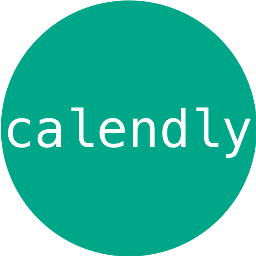 If you’re a consultant or whatever, get rid of your diary people and your manual thing, get Calendly get online get with the program it integrates through smartphones et cetera. Brilliant tool, I love it, and I’m no good at doing appointments stuff, but I love that. Anyway I’ll talk to you again tomorrow. How much are you spending for your start up costs?